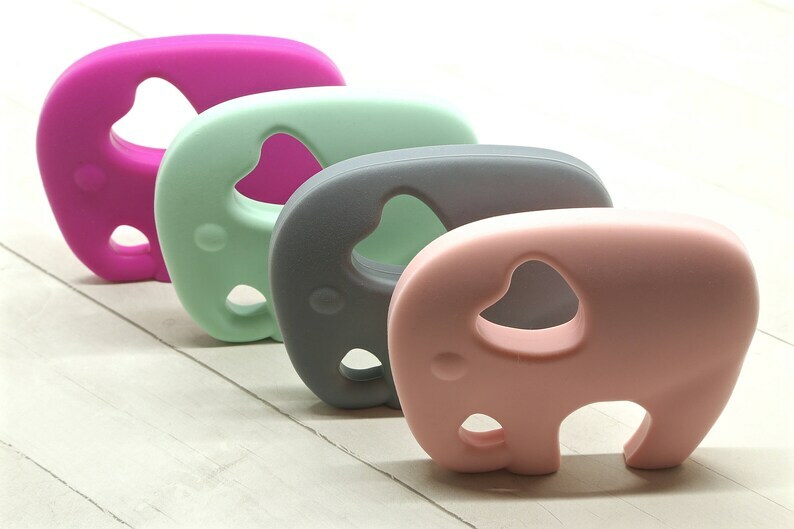 Our Silicone Elephant Teether will help massage baby's gum and soothe baby's pain of teething. 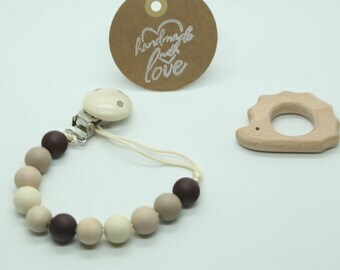 The perfect gift for a baby, it give babies something to focus on to encourage healthy breastfeeding. Reduces drooling, keep your baby drier, rash free and clean. Our Elephant Teether is available in 4 Colours ( Soft Pink, Fuchsia, Grey and Mint ) it has fun and sensory bumps for extra soothing care. It measures 8cm x 6.75cm you can purchase just the teether or create your own custom pacifier clip or teething ring. 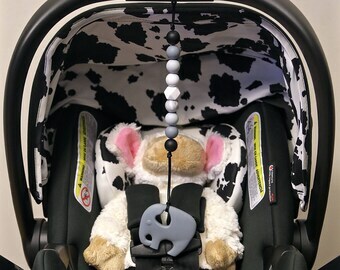 Our Elephant Teether can be sent to you with a black Nylon cord upon request. Just leave us a message on the sellers note when checking out. If no note is left we will send you just the teether. Hand wash silicone teether with mild soap lay flat to dry. Prior to Shipping I will sanitize your Teether. 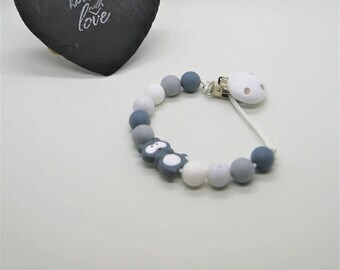 Due to nature of this item, beads may vary slightly and colours may appear slightly different on your monitor than in person. Such as other baby accessories, you SHOULD NOT leave your child unattended while using this or any of our chewelry products. Always inspect item prior to giving it to your child, at first sight of any damage of item please discard item, do NOT give it to your child. If you are purchasing this gift as a gift please let me know if you would like me to attach a hand written card at NO extra charge! Please send me a message with what you would like to card to say and what the occasion is! We will send you a picture of what gift wrap paper we have in stock, if you do not like what we have in stock we are more than happy to credit you. Loved the fidget handheld beads. They look so cute!! My daughter loved it. She has been holding it all day since she got it! Will definitely purchase more for my daughter. Thank you! !